Are you looking for a credit card with amazing and unbeatable rewards? Then the Citi® Double Cash Credit Card has got you covered. When you make purchases using this card, you get the opportunity to earn your cash back twice. With no annual fees and great benefits, let’s take a deeper look into what the Citi® Double Cash Credit Card has to offer and how you can apply today. With this Citibank credit card, you have the opportunity to earn your cash back twice. First, you earn 1% unlimited on every purchase you make and another 1% cash back on all credit card payments made as long as you pay the minimum due. Furthermore, unlike other credit cards, the Citi® Double Cash Credit Card has no restricting categories. As a Citibank customer, you can enjoy exclusive access to several events annually such as sporting events, concerts, dining experiences, complimentary movie screenings and more. You don’t have to worry about the safety of your card as you have 24-hour fraud protection. You will always be alerted in case there is unusual activity going on in your account. In the event that you lose your card, it will be replaced within 24 hours. Better still, you will be provided with emergency cash to your available cash advance limit. If you plan to travel, you will be able to use your credit on all chip-enabled terminals to make purchases. Furthermore, you won’t be charged for any transaction that you have not authorized, whether online or in person. This credit card is user-friendly and has a 24-hour standby representative to help in case you need assistance with dining, shopping or even travel. All you have to do is to give them a call, and they will be at your service. Citibank has mastered the art of quick and convenient payments. You can make payments with your Citi® Double Cash Credit Card in over 200,000 stores using your iPhone 6, iPad miniTM 3 and in-app with the iPad Air® 2. What’s more, in case you get overwhelmed and forget to pay your credit card statement on time, you get a pass on your first late fee. Are you interested in applying for this Citibank credit card? Well, if you are eligible, it can easily be done online. To be eligible, you must be a legal citizen of the U.S, 18 years and above, and you should have a social security number. Moreover, you will need to have a steady and sufficient income and be able to show proof of this through pay-slips or tax documents. To apply, all you need to do is visit the Citibank website and fill out the online application form with the required details. You may also be asked to upload supporting documents. Once you have carefully submitted the information, you will get a notification as of when you should be able to receive your credit card, if approved. It is always advisable to pay your credit card on time to avoid incurring additional charges from the bank. For more information about costs and other factors to consider, check out the Citibank official website. 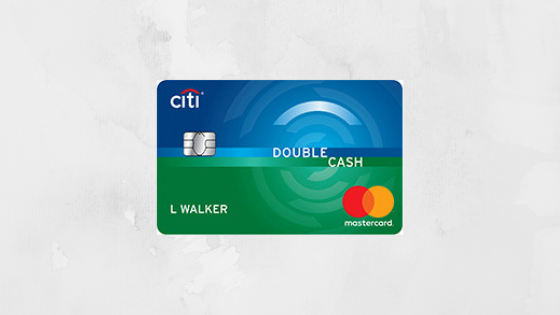 If you’re looking for a low fee credit card from a reputable bank that offers cash back and other exclusive perks, the Citi® Double Cash Credit Card is a great option. Visit the Citibank website and apply today to begin enjoying the unbeatable benefits and features this Citibank credit card has to offer.